Daniel 8:1 In the third year of the reign of King Belshazzar, a vision appeared unto me – I Daniel… 3 …[of] a ram… 4 …pushing westward, northward, and southward…[who] did according to his will, and became great… 20 “The ram which you saw: the Baal/[spiritual] master/lord* of the two horns, the kings of Media and Persia.” 5 …then behold, a he-goat coming from the west…[with] a conspicuous horn between his eyes. … 21 “The male goat is the [spiritual] king of Greece; and the great horn that is between his eyes, he is the first [human] king.” 7 …and he smote the ram… 8 and was exceedingly magnified; but when he was strong, the great horn was broken, and there ascended under it four conspicuous ones toward the four winds of heaven. *Nearly all translations corrupt the legitimate meaning of this noun baal, changing it into a verb to hide its significance. Historians agree that this passage gives a concise summary of the Persian Empire (the ram), founded by Cyrus the Great in ca. 558 B.C., up to the time of its full overthrow in 331 B.C. by the founder of the Greek Empire, Alexander the Great; and then to the division of that empire into four kingdoms. Alexander was one of the greatest military leaders in history. He conquered Greece, Asia Minor, the Levant, Egypt, Mesopotamia, Persia, and part of India, before being required by his generals to cease more conquest. He therefore returned to Babylon to rule over his empire. There he died in 323, in his 33rd year – allegedly from alcoholism (but at its root boredom?). Before that, he had been proclaimed a god by the Egyptians and the Greeks. Seleucus over Mesopotamia, Persia, and India (which was soon lost). Daniel 8:9 And from the first/foremost of them came a diminutive horn which grew exceedingly great toward the south, toward the east, and toward the Glorious Land. 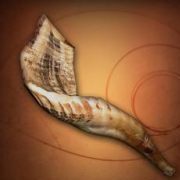 Many people mistakenly equate this מץעירה/diminutive/tiny horn with the זעירה/little/small horn of Daniel 7:8, but this is incorrect. The latter was to arise later out of the fourth beast of Daniel 7, the Roman Empire, while the one here arises out of the third beast, the Greek Empire. Prophetically, horns represent human rulers that receive earthly power from their underlying heavenly spiritual Power. See Daniel 8:20, 21 above. Antiochus took the titular name Epiphanes, which literally means “Over-Shining One,” or more generally “Manifestation (of Godhood).” To dispel any doubt, he minted coins carrying his portrait along with the words Theos Epiphanes: “God Manifest.” He was thoroughly possessed by a heavenly sar/chief one/Power. And, as such, felt empowered to contest for preeminence over the Land of Israel and the Jerusalem Temple with the sar-sarim of heaven. Some have supposed that one to be Onias III, the pious Jewish High Priest. Others have presumed him to be the pre-incarnate Christ. But in Daniel 10:13 and 12:1, the pre-incarnate Christ tells us that “the אחד/first/foremost of the ancestral sarim” [Heb. אַחַד הַשָּׂרִים הָרִאשֹׁנִים] is the archangel Michael, who is “the great sar, the one standing over your people [Israel].” See also Daniel 10:21, Revelation 12:7, Jude 9, and Joshua 5:14. The common translation of sar as “prince” is confusingly ambiguous, seeing that the KJV translates fourteen different Hebrew words “prince.” A sar always denotes a very powerful head of an army or government. The significance of the “evening-morning” is generally missed. This was not the order of the Law-required continual (daily) blood-sacrifices upon the Altar of the Court, which were morning and evening. Ex. 29:38-39; Num. 28:2-4 Rather, “evening until morning” was the order of service of the lights of the lampstand/Menorah in the Holy Place. Ex. 27:20-21; Lev. 24:2-3 The seven lights of the Menorah represented the seven-fold Spirit of God in the Holy Temple, and from it throughout all the earth. See “The Lampstand,” in The Tabernacle and the Court, Part 2. When the Maccabees resanctified and rededicated the Temple to the God of Israel in December 165 B.C., that act was henceforth commemorated yearly by the Feast of Hanukkah. But it is more notably known as the Festival of Lights, because of the miracle of the single cruse of sanctified oil that kept alight the Menorah for eight days, until more oil could be prepared.